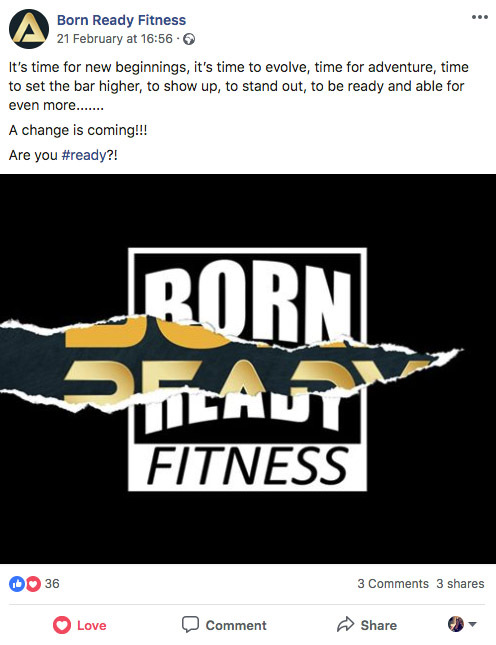 Born Ready Fitness approached us in early 2019, looking for a total rebrand for their business. 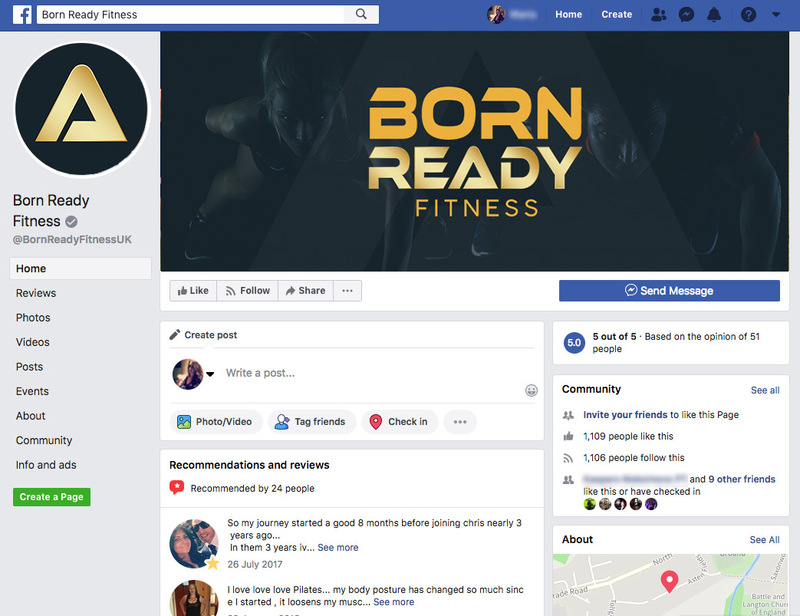 This would involve a brand new logo and icon complete with a house style including typography rules and brand colours, from which we would then design business cards, flyers, a fresh timetable, a new website and fitness apparel. We started of course with the new logo. BR were looking to become a visually strong fitness brand, so the inspiration in the earliest stages was drawn from top global sports brands as well as big-name brands within other sectors. The brand wasn’t yet ready to be recognisable from a symbol alone, but BR were keen to incorporate a distinctive logomark which could in time become their identifiable brand mark. After lots of brainstorming about where the current brand sat and where it aimed to be, we produced a few early concepts. 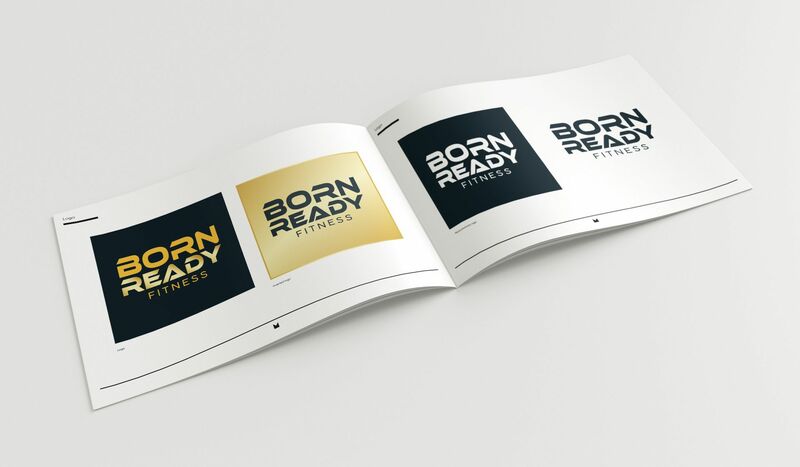 Although the client felt that the proposed concepts were strong and very fitting for a sports brand, they weren’t yet embodying the true spirit of Born Ready. We decided to backtrack and come up with something new which wouldn’t be too big a step from the brand’s existing legacy. At this point we produced a new interpretation of their existing logo, incorporating typography from previous drafts and introducing a potential colour scheme. We did away with the text warp on ‘Born Ready’ and italicization on ‘fitness’, adding in some extra tracking to give the letterforms some breathing room (this also helps to make it more readable from a distance, or in motion). Born Ready liked this logo and so did we. It was certainly a step up from their current branding, but not too drastic a change. However, we felt that there was more potential. So we continued to work on it, eventually stripping away the containing frame entirely and developing custom typography until we ended up with something brand new that we all loved. 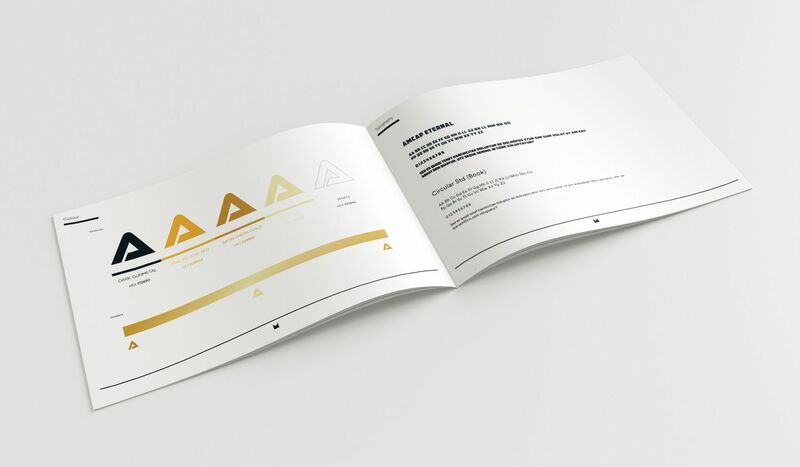 The triangular icon which forms the ‘A’ in the logomark became the brand’s signature symbol. 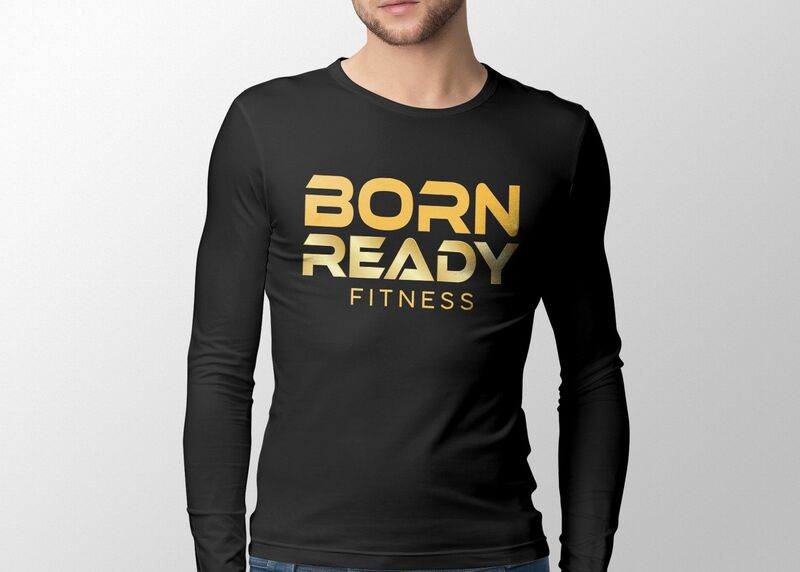 The philosophy behind the symbol is that not only is it diverse and non-gender-specific, it is shaped like a mountain which resembles challenge, reinforcing the ethos that Born Ready Fitness is about adventure and overcoming adversity. Also a symbol of good luck and balance, it represents strength; no matter how much pressure you put on any of its sides, it will not break. The symbol forms the A in the wordmark, which is the first letter of the alphabet, and is also shaped in the foetal position of a human representing birth and new beginnings; the starting point which we all are able to evolve from. The letter A is significant to the brand’s key messages – Active, Athlete, overcoming Adversity, Adventure and, most importantly, being born Able. We tested a few colour schemes before deciding on a gold gradient against a matte off-black. 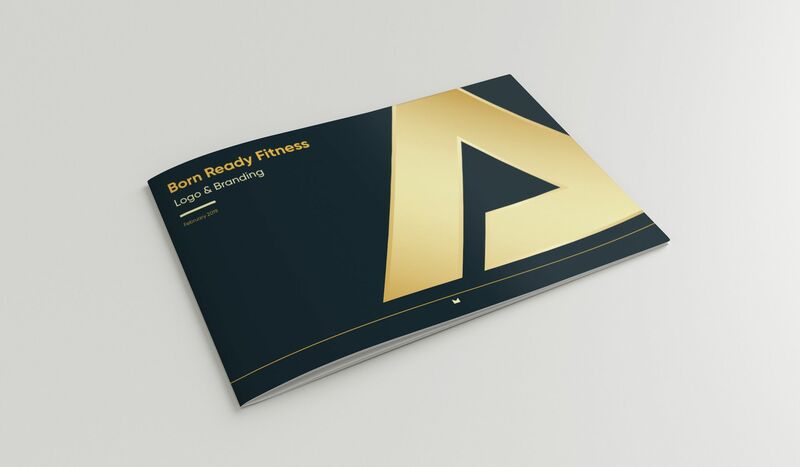 With the logo finalised we produced a style guidelines booklet for the Born Ready Fitness brand, detailing the logomarks, typefaces and colour scheme. With the client eager to launch the new brand, we designed a teaser graphic and produced a brand reveal video for release on social media, as well as new profile and cover images for the Facebook and Instagram profiles. We are very excited to now be producing business cards and other promotional materials, as well as developing a brand new website – watch this space! Want to start a similar project?